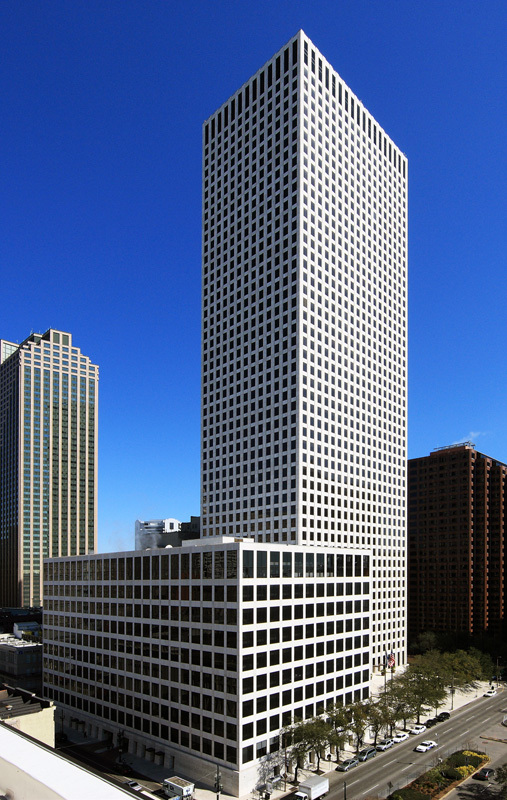 One Shell Square is a 51-story Class-A skyscraper located at 701 Poydras Street in the Central Business District of the City of New Orleans. The subject property occupies an entire city block and contains a reported 1.954 acres. Construction of One Shell Square began in 1971, and the facility was first occupied in 1974. The building currently contains a reported 1,256,991 square feet of net rentable office space. Numerous building renovations and repair projects, some resulting from damage sustained during Hurricane Katrina in August of 2005, had been completed over the last several years, or were occurring at the time of our visit. These projects resulted in a well maintained building; in fact in many aspects it was in better condition than before Katrina. PR&A was retained to evaluate the condition of the structure and its systems to determine which items were near the end of their useful life expectancy and would require replacement during the evaluation period. Our services were in anticipation of a sale of the facility and were requested to ensure management had a realistic appraisal of the facility’s condition and to learn how prospective buyers would view the asset.